What it is about cowboys and the cowboy lifestyle that we find so compelling? I asked this question of five other authors and got surprisingly similar answers. Or maybe it’s not so surprising. Summed up, we all share a deep love for the iconic cowboy. 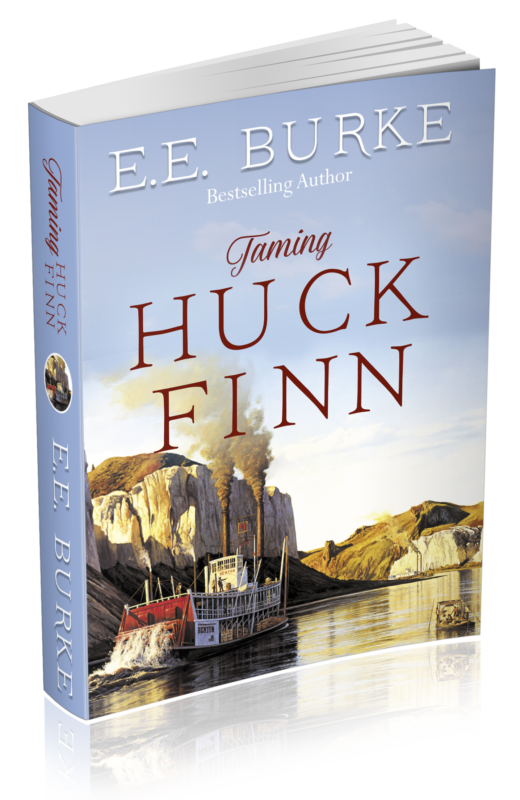 He’s the hero of our romance novels, he has equal parts courage and honor, and he follows a code of ethics that don’t just guide him, they define him. Even today, this “cowboy code” or “code of the West” speaks to us. Why? I think it’s because it inspires us to be better than we often are, and it reminds us that these are the kind of values that will truly make a nation great. But what makes a cowboy a cowboy? It isn’t putting on jeans and boots and a hat, and driving around in a truck listening to country music, or displaying guns, or flying your colors. Feel free to do all that (this is what freedom grants you), but if you’re coarse and rude, or dishonest and lazy, the rest of the package doesn’t matter. True cowboys, using the iconic definition I talked about earlier, are those who live by the code. 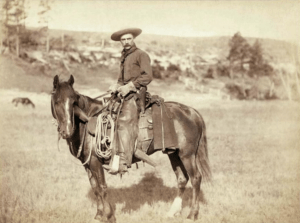 In reality, the original cowboys were mostly young men in their late teens and early twenties, who sought adventure and money as drovers taking cattle across rough, often hostile, country. They worked long hours, often through sleepless nights, keeping the herd together, safe and pointed north until they reached the railhead. Most of the men who worked this job didn’t even own the cattle. If the owner was a rancher, he might ride along, but not always; and sometimes the owners were businesses, not individuals. It generally took upwards of three months to reach the railhead, where the cows would be loaded to be taken east to a slaughterhouse. Most of the cross-country cattle drives (such as the ones we think of when we hear “The Chisholm Trail”) were made in the early 1870s, before the railroads connected Texas to eastern markets. 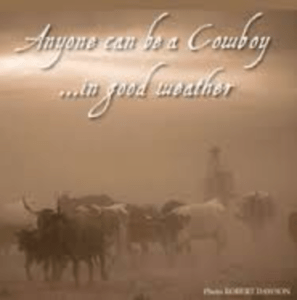 Cowboys faced natural disasters (frequent storms and flooding), stampedes caused by any number of factors, inhospitable strangers, such as the farmers who hated the Texas cattlemen because of tick fever…and the list of obstacles goes on and on. Cowboys relied on physical vigor, cleverness, and sheer determination, along with the experience they gained along the way. Out on the frontier, cowboys had to depend on each other’s character rather than depend on a set of written laws. In fact, the cowboy tended to be a mite independent (translate that, stubborn as a mule’s hind end). He might flaunt the law of a territory or state, particularly if he didn’t think it made sense, but you could count on him to abide by “the code.” Those who didn’t were drummed out of the brotherhood, at the very least. Yes, cowboys could be wild, and at times, violent. They could also be generous, loyal and considerate, particularly to ladies. Were they perfect? Hell, no. And I’m betting they’d laugh if someone told them today they’re considered heroes with a special day set aside to honor them. Saturday, July 22 is National Day Of The Cowboy. This summer, I met two professional bull riders, Matt Triplett and Tyler Harr, at a PBR rodeo in Deadwood, S.D. Let me tell you, they were popular in the bar that night. You can see why. 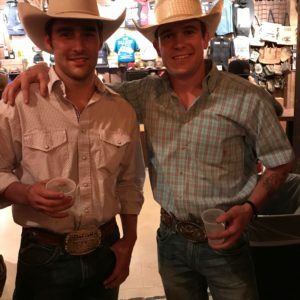 These bull riders look mighty fine in their jeans and hats and pressed cotton shirts. And, oh my, were they polite. Every sentence was punctuated with, “ma’am.” They were also endlessly patient with the entire female population at the bar who wanted pictures made with them. More than that, they’d cleaned up and come by to meet some of us romance writers after a grueling night of competition–and they never stopped smiling. I’ll admit to being intrigued by what inspires bull riders to do what they do. Week after week, they load up and drive to the next competition, where there’s no guarantee they’ll make money. Frankly, there’s no guarantee they won’t get hurt. This is rough sport, and in many ways, unforgiving. But when you talk to these cowboys, to a man they’ll tell you they wouldn’t trade it for anything, and they can’t imagine doing anything else. Mike Heald, shown at right, is a stock contractor (he supplies bucking bulls for the rodeos) and a former bull rider. 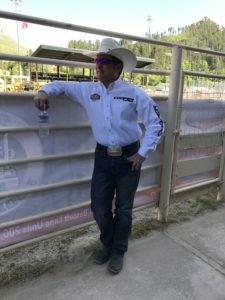 He also serves on the board of the Rider Relief Fund, established to help pro bull riders when they get injured. I’d like to share a little of what he had to say when we talked about rodeo and modern day cowboys. What drew me to the rodeo to start with? I guess the adventure, and being a cowboy is in my DNA. My dad was a cowboy. I was born and raised on a ranch in northeastern California; ranching and the cowboy lifestyle go hand in hand. I got into bull riding when I was pretty young. Wasn’t good enough to be a world champion, so I guess I’m lucky I got hurt early and had to get out of it. What brought me back to rodeo and being part of it as a stock contractor is the community. It’s like family–however dysfunctional (laughs). I’ve had a career in Silicon Valley, met interesting and wealthy people, and it’s easy to get sucked into all that. But in rodeo, nobody gives a damn about what you drive or what you own. It’s about the love of the sport, the culture, the people, and what you do for each other. Who these guys are and what they do, it’s really incredible when you think about it. They’re always one ride away from failure and injury, or one ride away from championship and victory…one ride away from a comeback, one ride away from reaching a dream. Celebrate National Day of the Cowboy All Week! This entry was posted in Romance and tagged #NationalDayOfTheCowboy, #PBR. Bookmark the permalink.